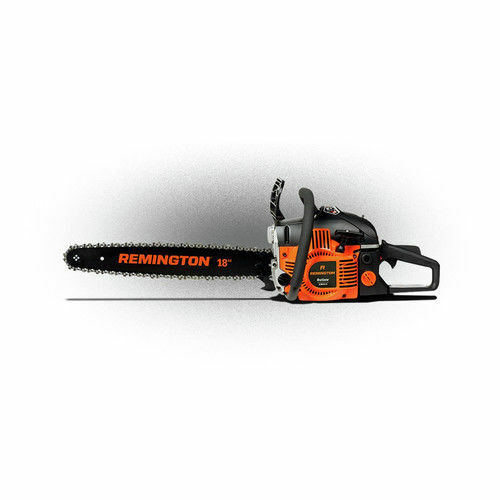 The Remington Outlaw is a very powerful chainsaw, but it is easy to operate. I've used it to cut up a sizable maple tree that Hurricane Irma toppled a couple of weeks ago. It worked equally as well cutting several cords of firewood. Because the firewood had been seasoned, it cut through it like paper. The only thing that I would suggest to the manufacturer is to make the saw easier to crank. Even after the saw has been used a while and is totally warmed up, it is difficult to start again after it has been shut off. This seems to be a carburetion problem that is fixable. Other than this inconvenience, I am totally pleased with my Outlaw, and I definitely endorse its purchase for home use.